A staple food, known all over the world, Rice is much more than just a food item which fills your stomach and induces you into a deep sleep. 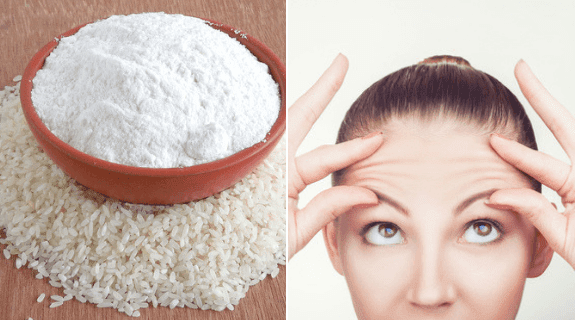 The carbohydrates present in rice is very useful for cases when there are unwanted wrinkles coming up on your skin. Use these remedies to reverse the effect. Boil a handful of rice in a cup of water until it starts boiling. Put a few drops of rosemary essential oil, lemon juice and tea tree oil in the boiling water. Keep the mixture over medium flame until the rice cooks completely. Strain the water and remove the rice from the water. Grind these cooked rice to make a thick smooth pulp. Apply this pulp on your face and cover the wrinkles and surrounding skin completely. Leave the paste for about half an hour or so and then wash it off with cold water. Repeat this process two to three times a week to make your skin feel young and fresh again. Grind a couple of tablespoons of rice to make a fine powder. Add a tablespoon of greek yoghurt to the powder and mix them together to make a thick paste. Spread this paste on your face and massage it for about 5-7 minutes to exfoliate your skin. Let your paste applied for 15-20 minutes and then use lukewarm water along with a mild herbal face wash to remove the mask. Make some rice powder as you did in the previous remedy. This time, mix this rice powder with the same amount of honey and a few drops of lemon juice to make a thick gooey paste. Apply this paste on your face and cover it completely. 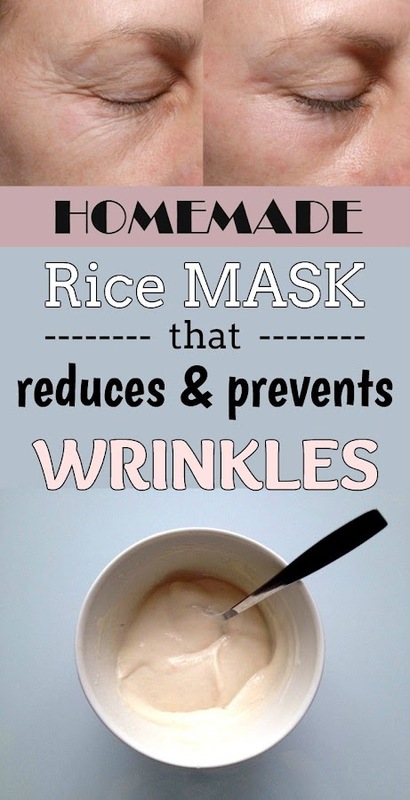 Spread a thicker layer over your wrinkles. Lay back your head and relax for about 10-15 minutes. You can also place two slices of cucumber over your eyes to give extra hydration to the skin surrounding it. Wash it off with lukewarm water and then apply a mild moisturizer to retain the moisture of the skin. Repeat this remedy three to four times a week to provide nutrition to your skin and hydrate it so that it becomes young. Take some cooked rice and pour a tablespoon of milk over it. Add a little turmeric and then mash the rice mixture to make a strong thick paste. Spread this paste on your face and massage it for about 10-15 minutes so that every pore is covered with this beneficial face mask. Leave it like that for 20 minutes or so and then wash it off using lukewarm water and some cleanser. Pat the skin dry with a towel. This procedure can be repeated two to three times a week if you have wrinkles showing up on your skin before time.